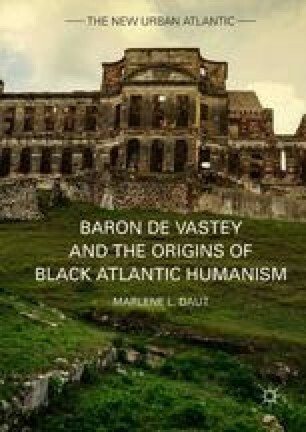 This introduction demonstrates how Vastey’s usage of deconstructive reversals and vindicationism to attack the philosophical foundations of slavery, colonialism, and racism continues a tradition of pamphleteering evident in French Saint-Domingue on the eve of the Revolution. The author argues that it is important to recognize the characteristics of writing by people of color from French Saint-Domingue written and published before formal Haitian independence because these early Haitian texts—produced largely by free people of color in revolutionary Saint-Domingue—contributed to the later development of Haitian anti-slavery writing by official members of the Haitian state like Baron de Vastey. Tout le monde crie contre la révolution, et tout le monde en a profité.